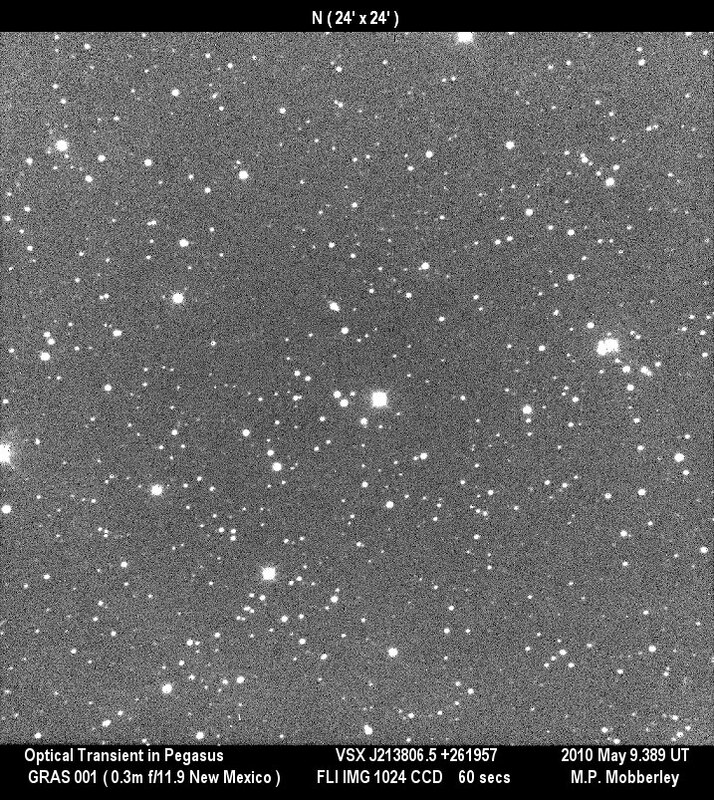 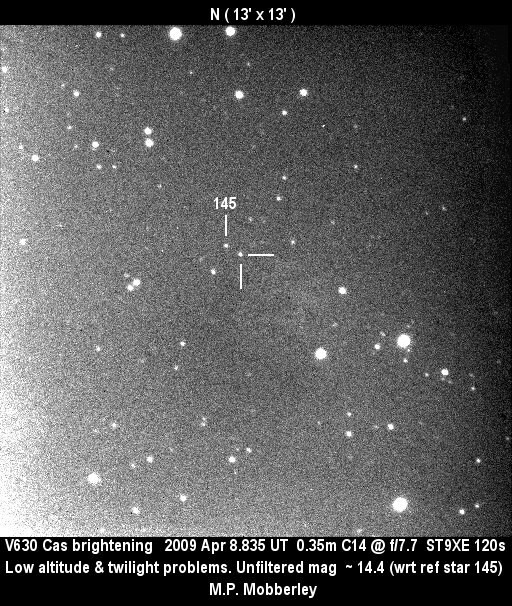 V392 Per in nova outburst! 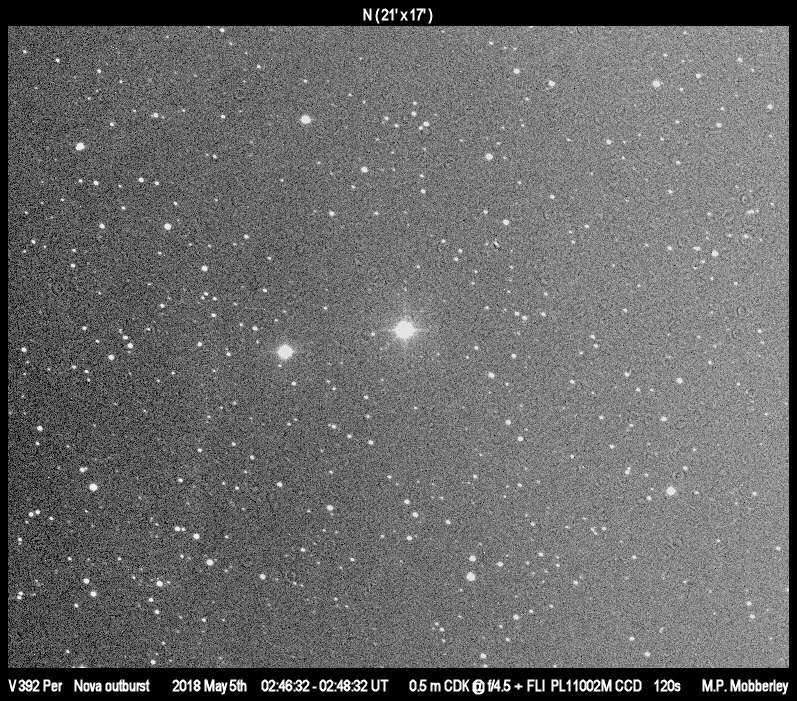 Outburst of HS 2331+3905, mag 12 and rising! 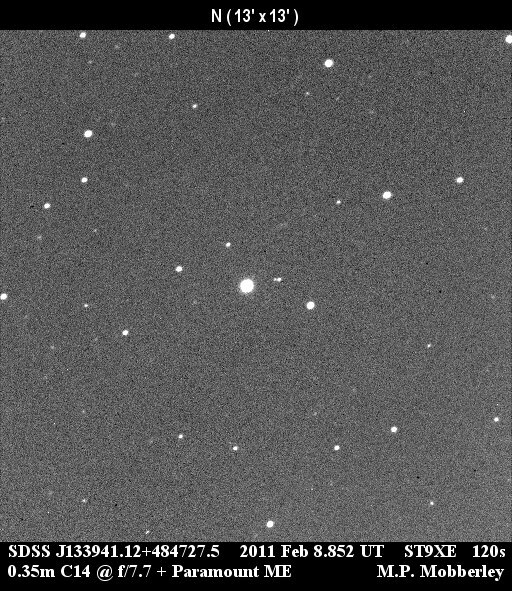 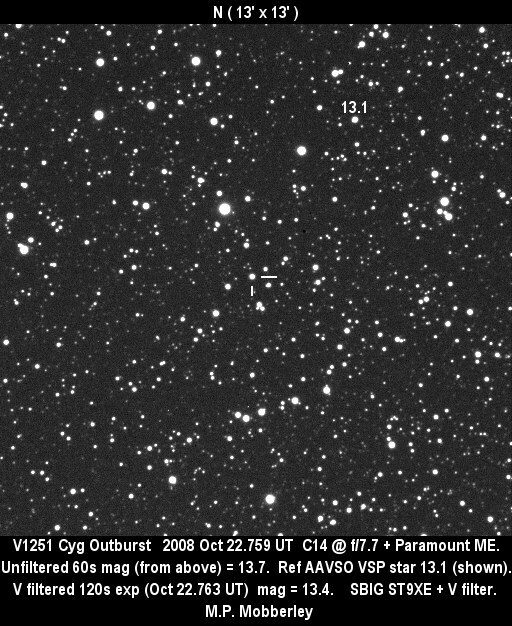 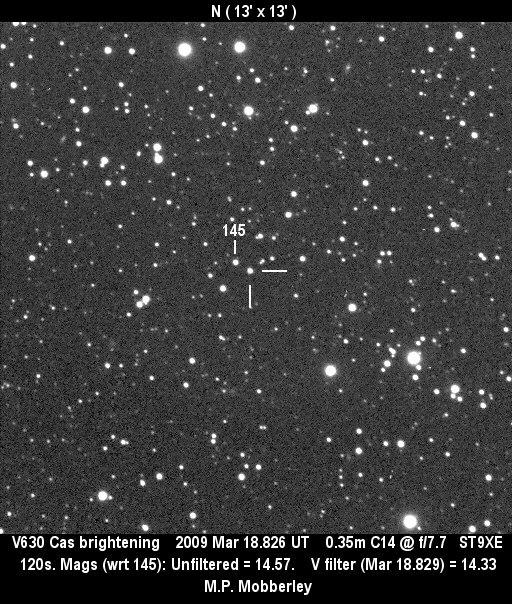 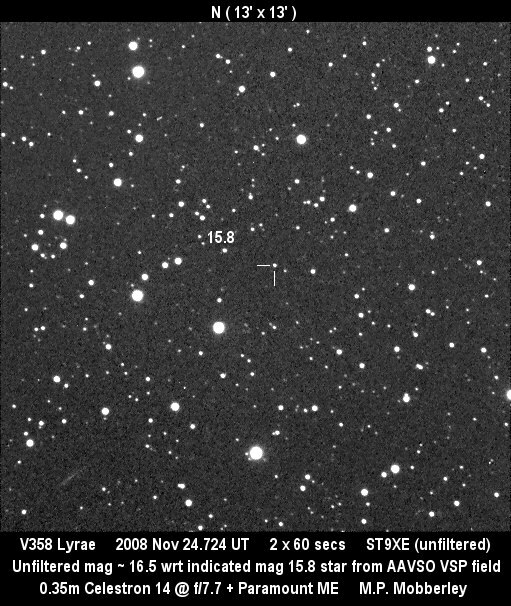 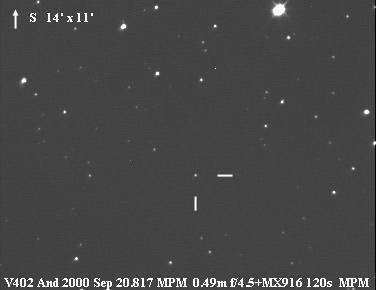 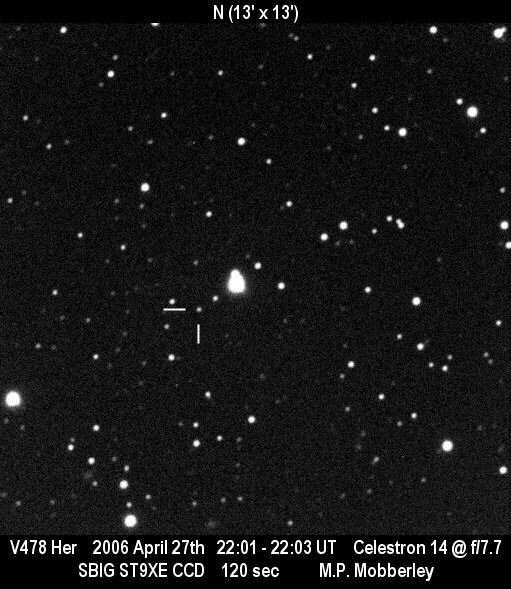 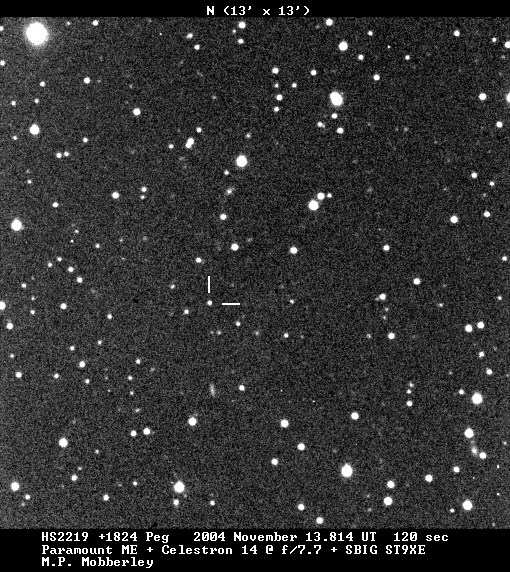 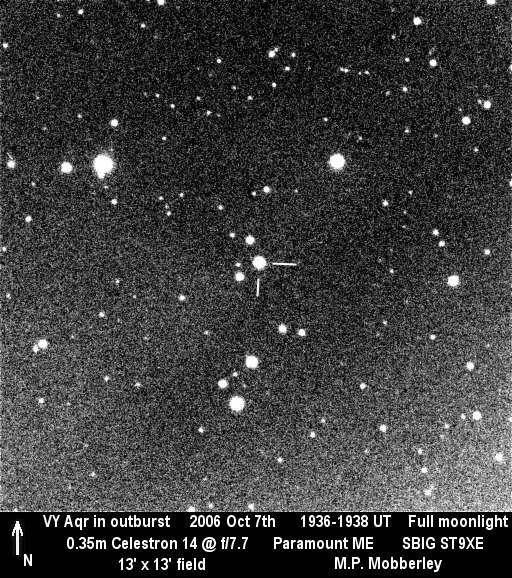 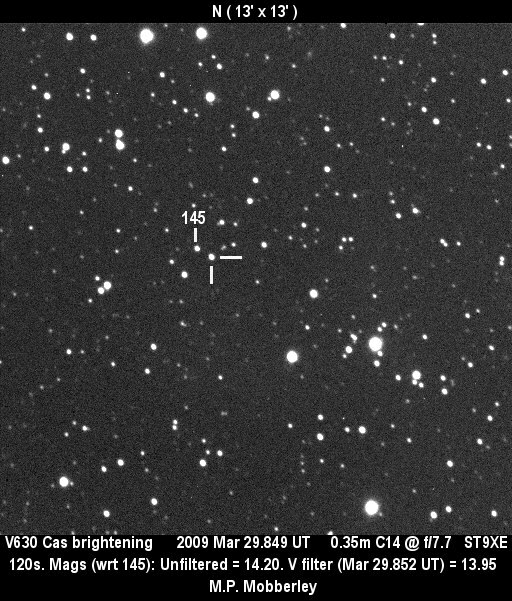 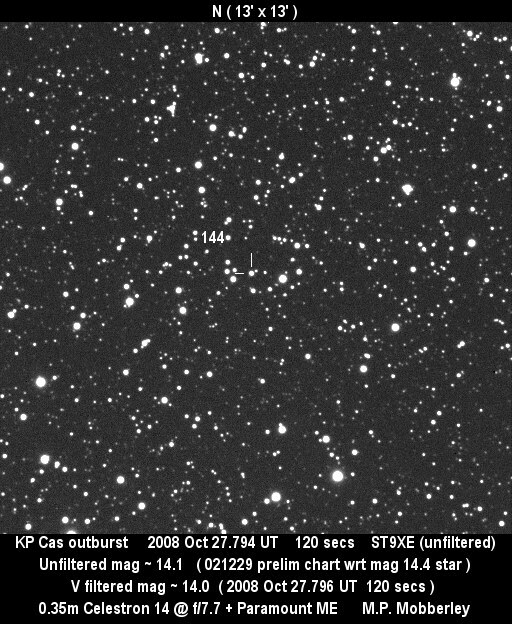 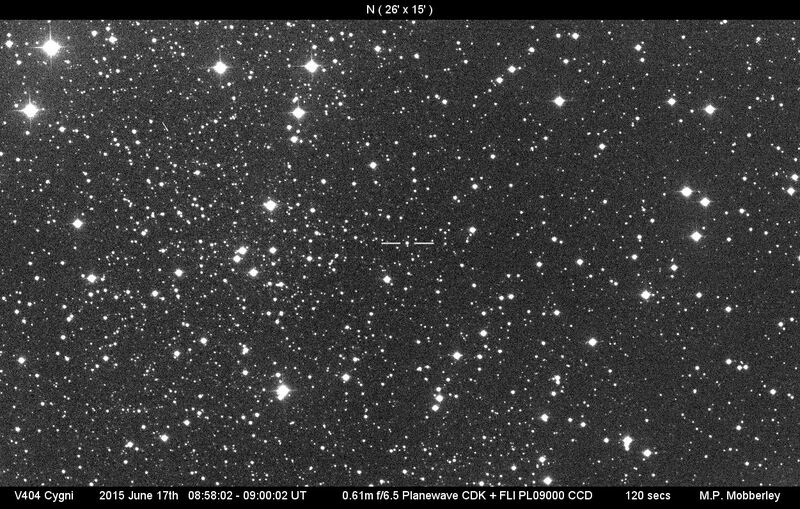 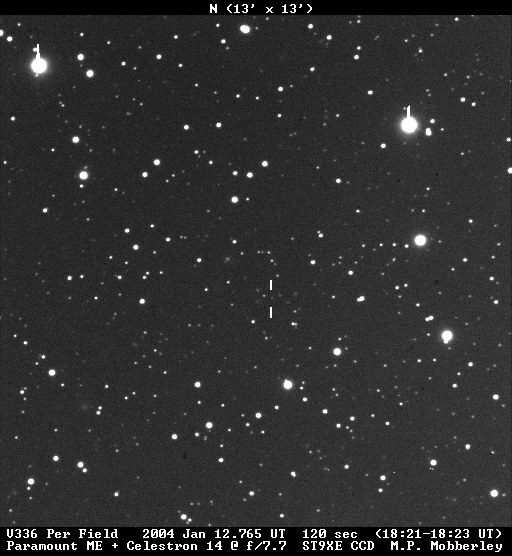 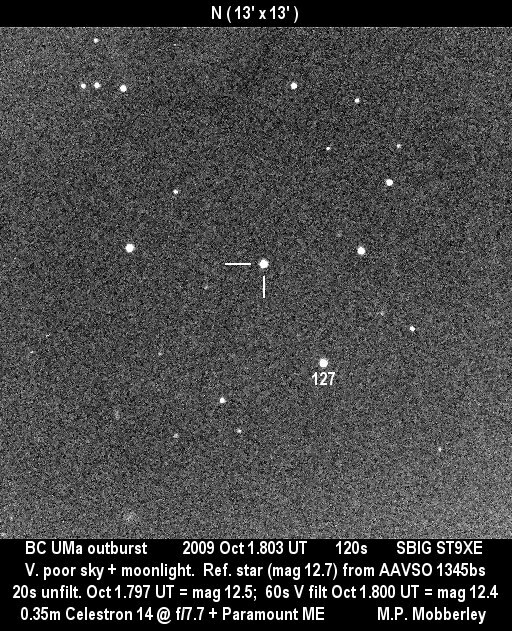 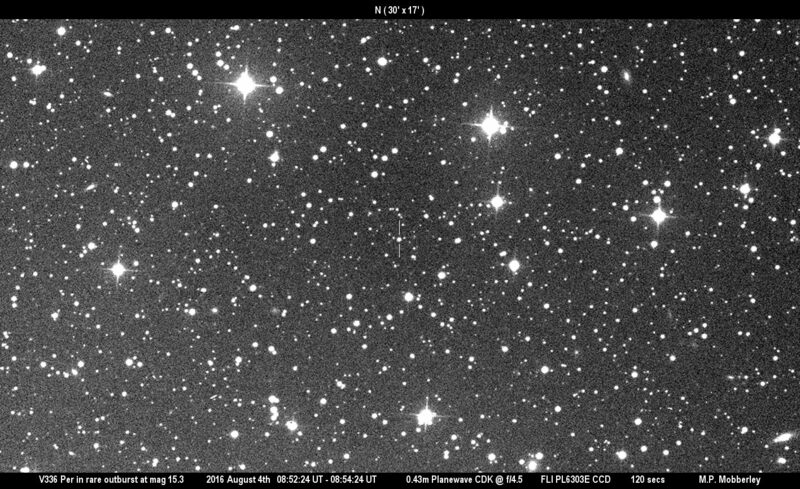 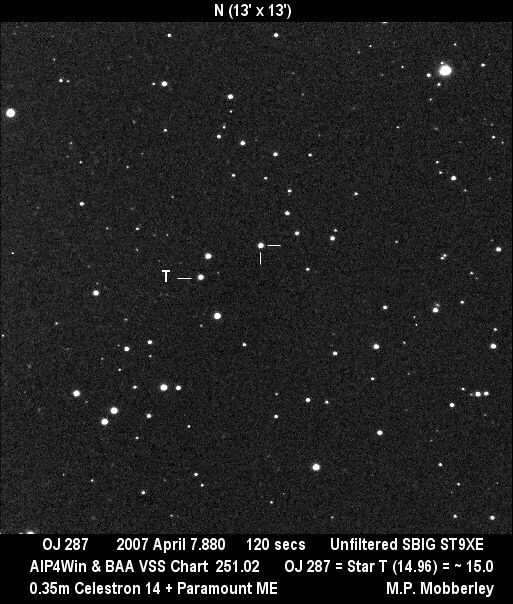 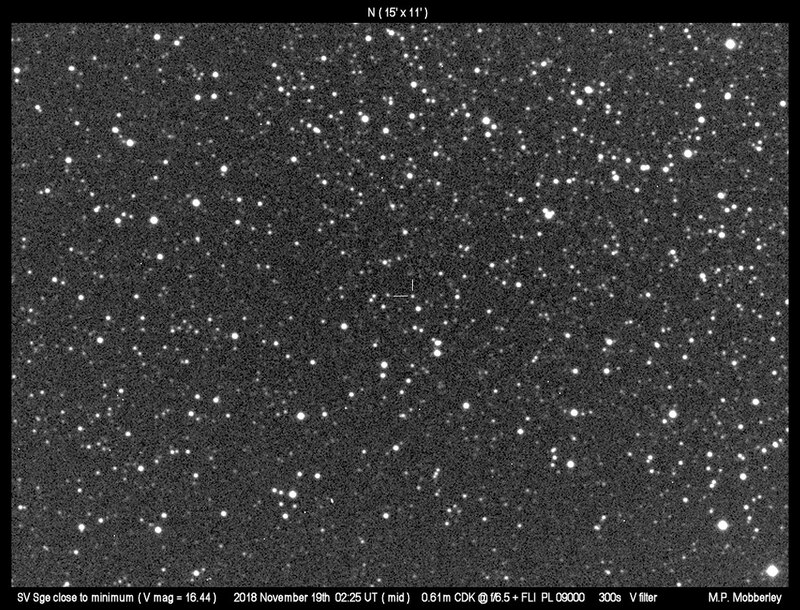 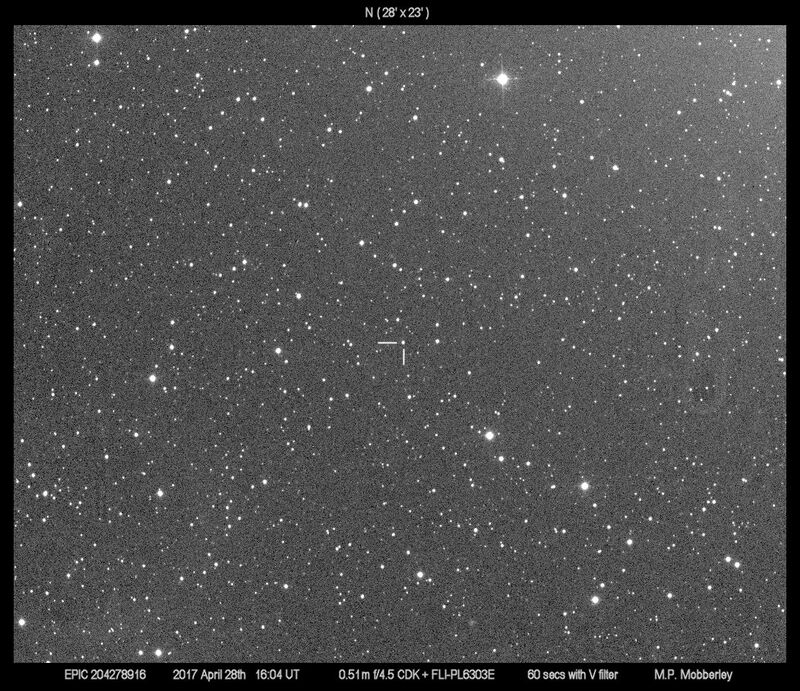 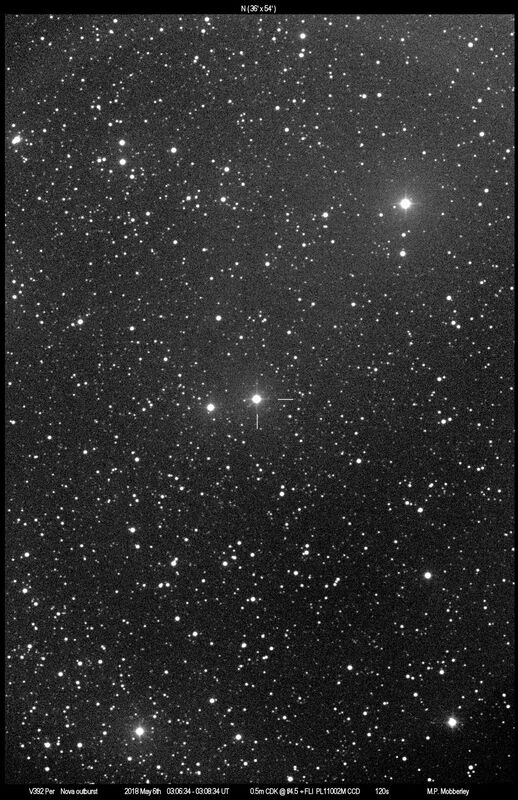 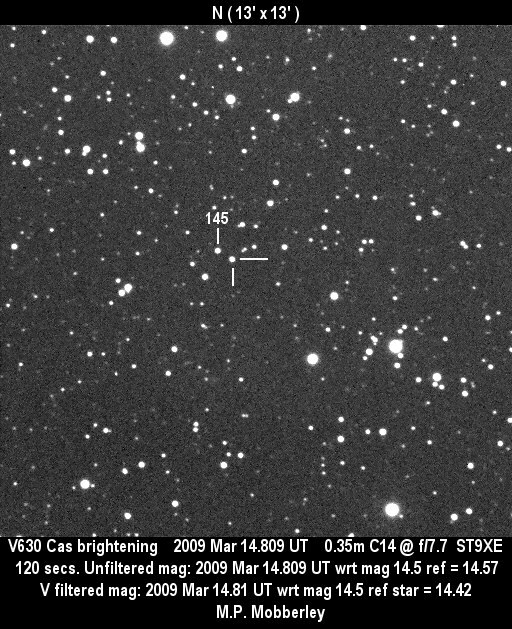 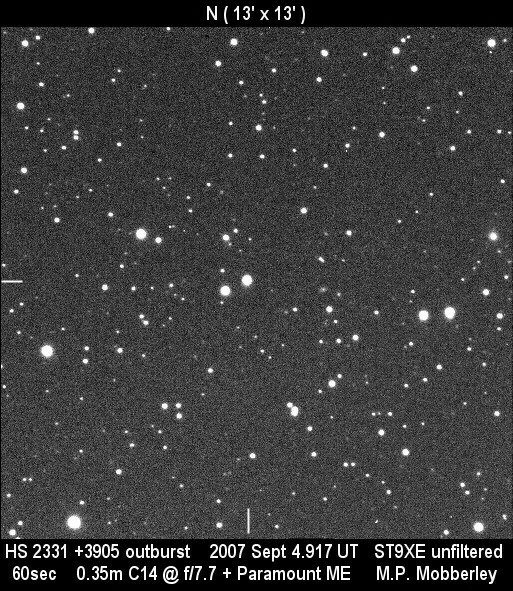 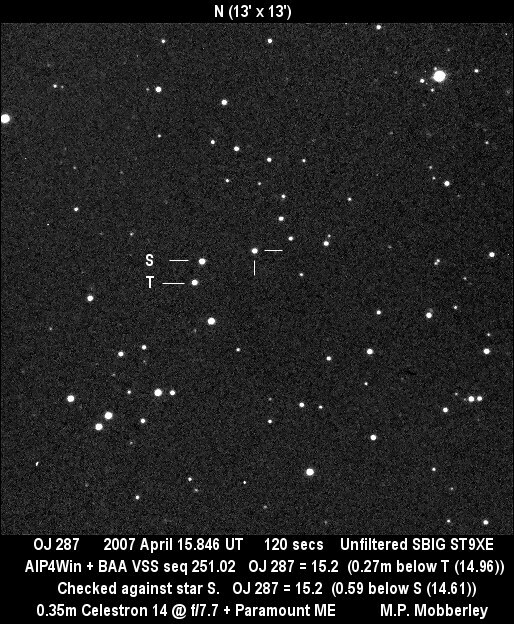 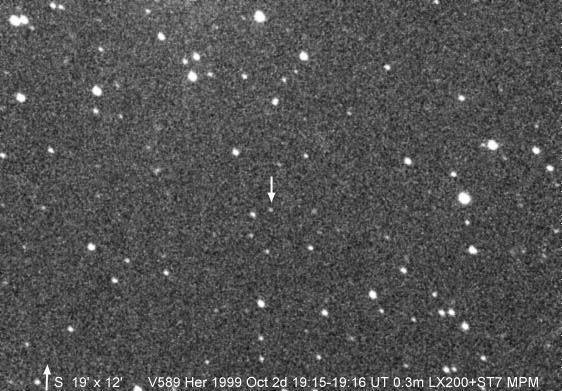 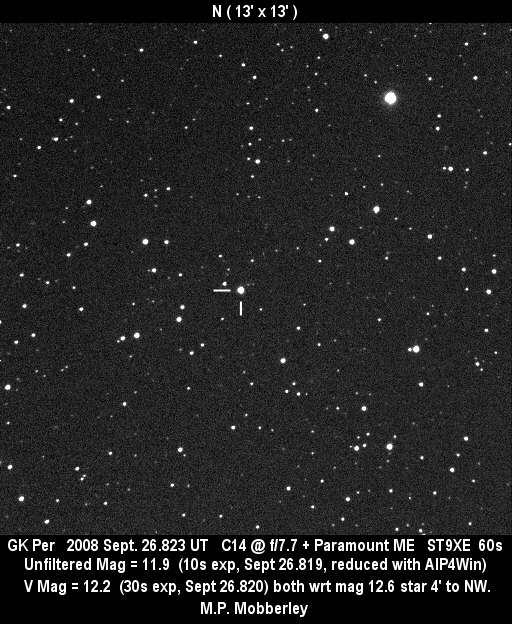 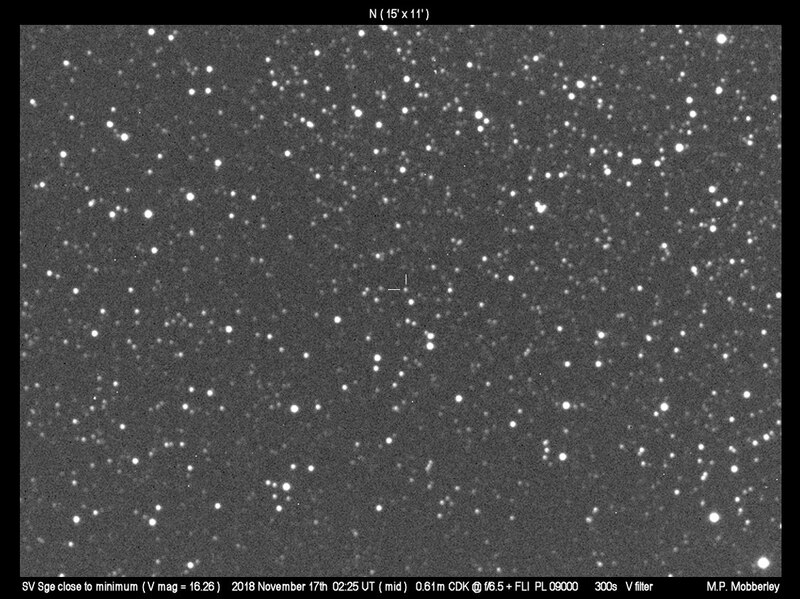 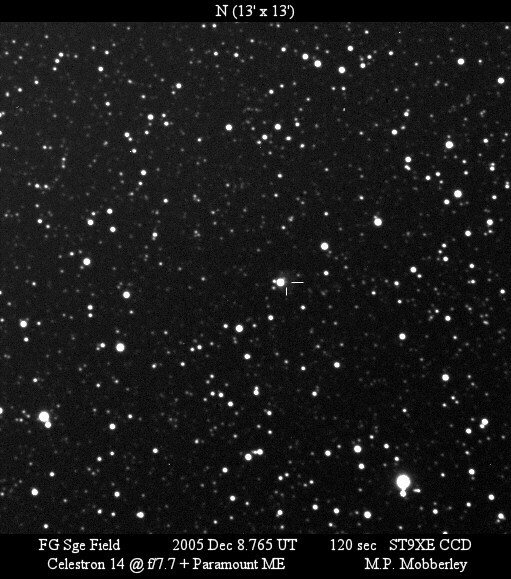 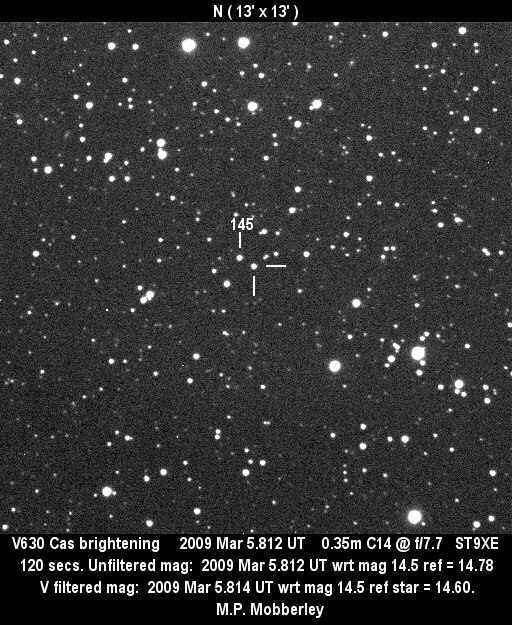 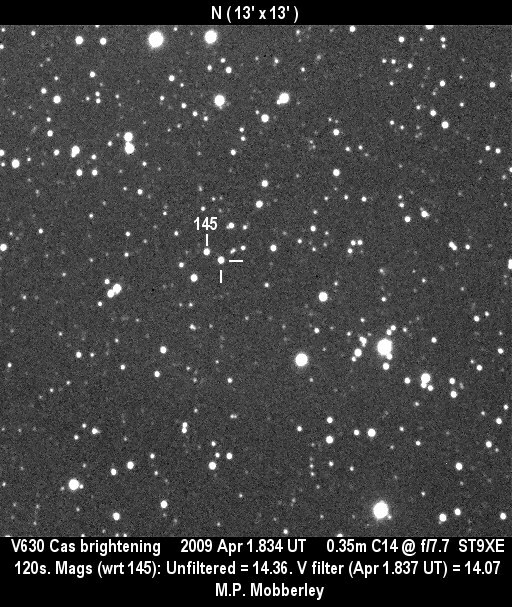 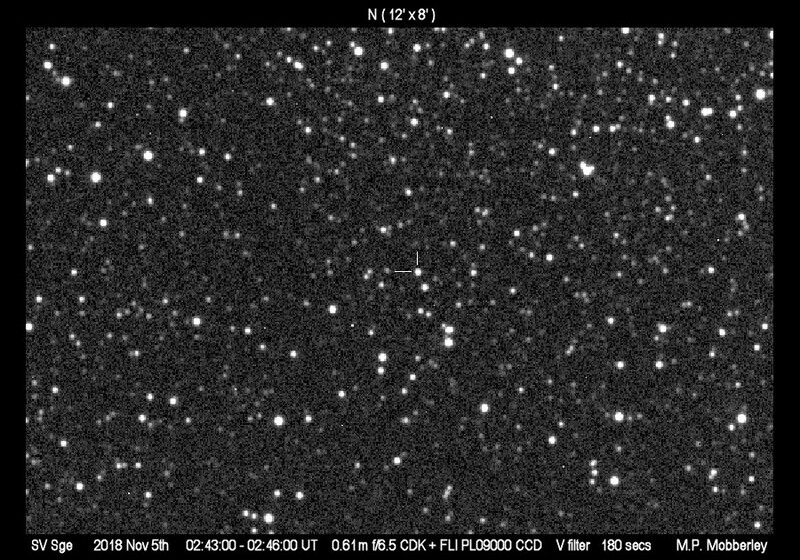 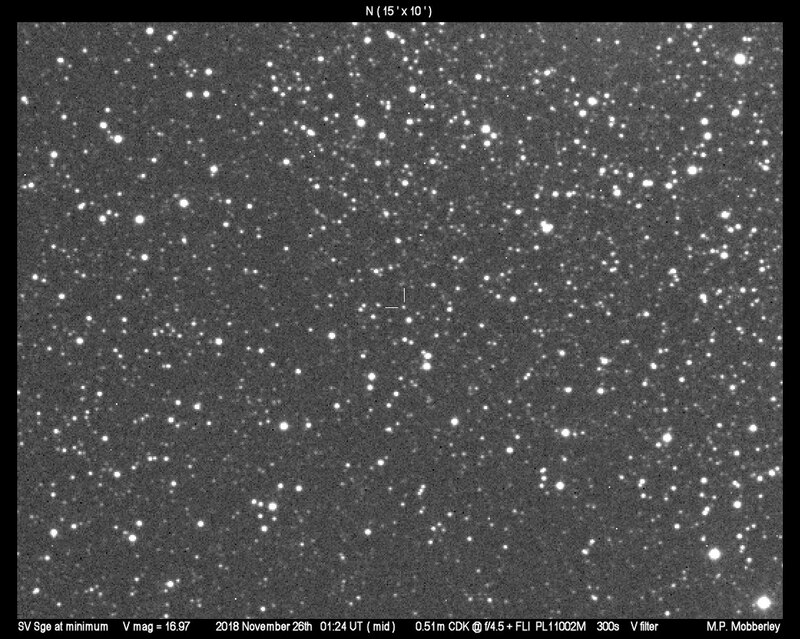 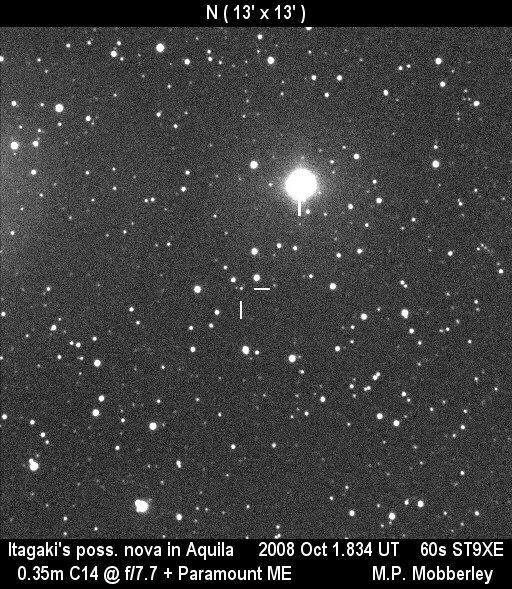 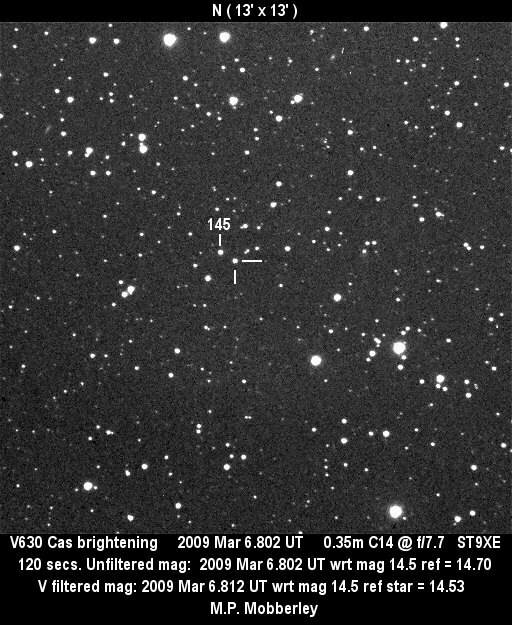 2004 Nov 13th Celestron 14. 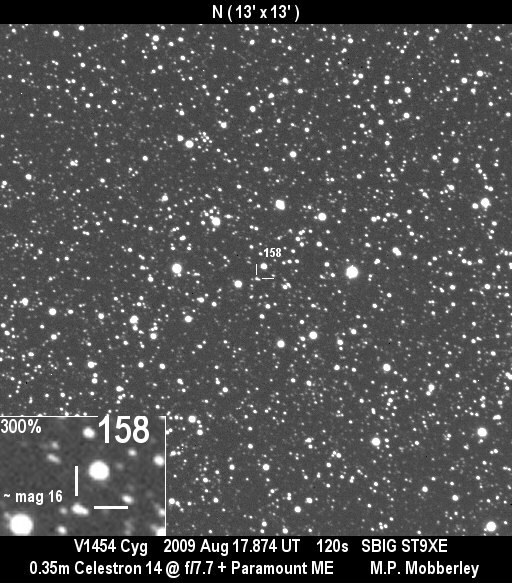 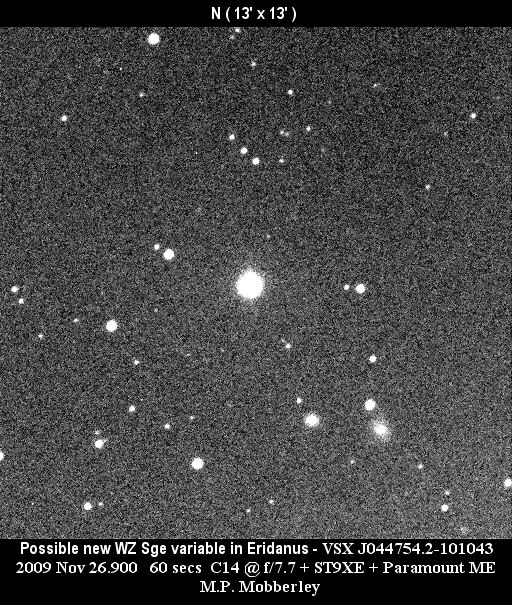 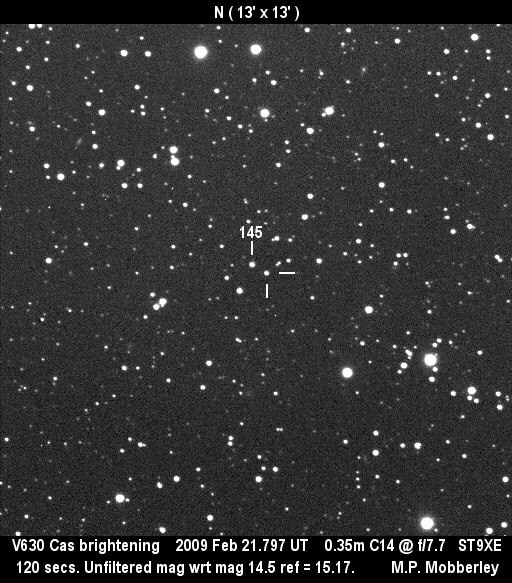 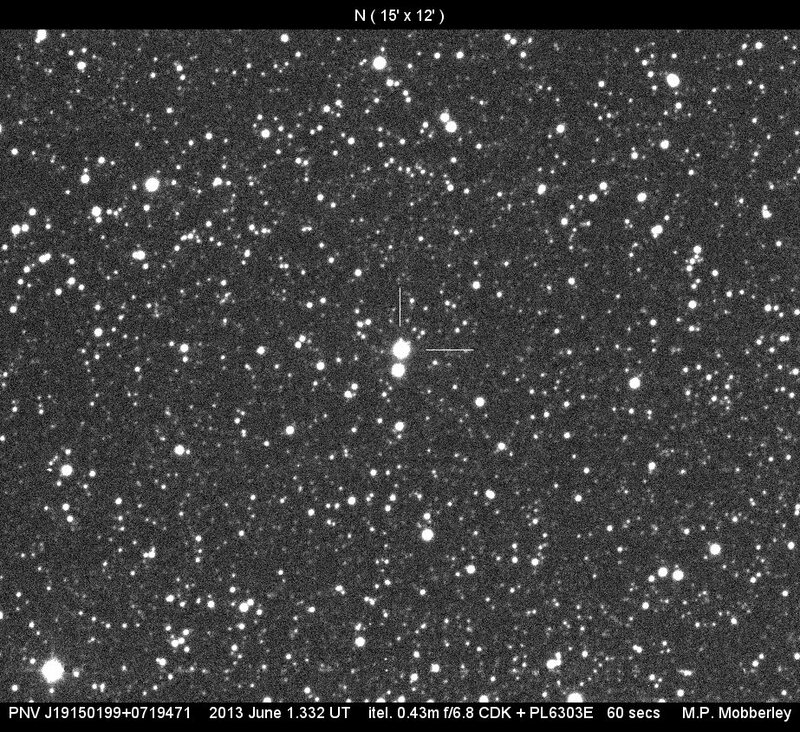 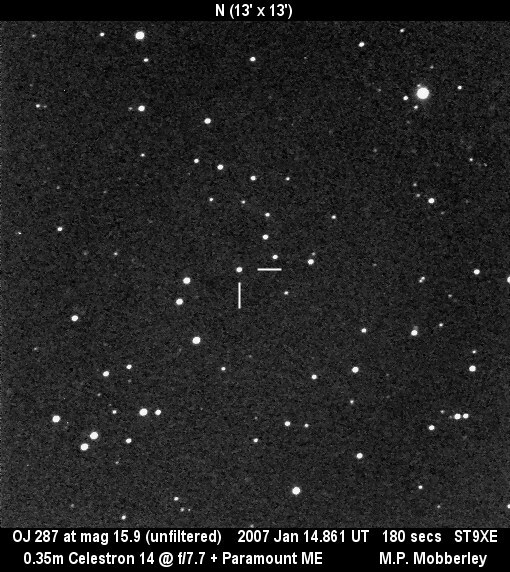 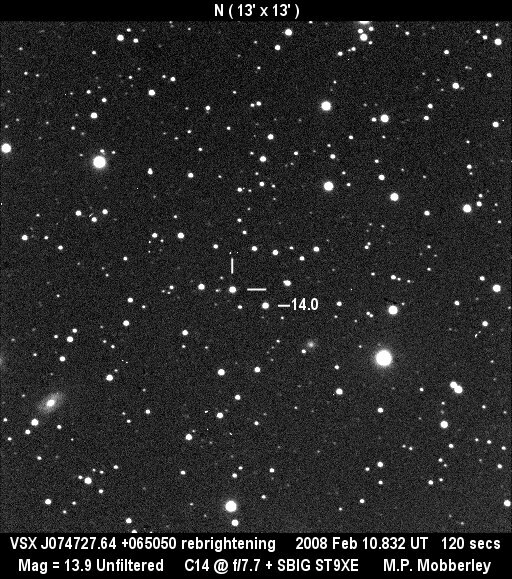 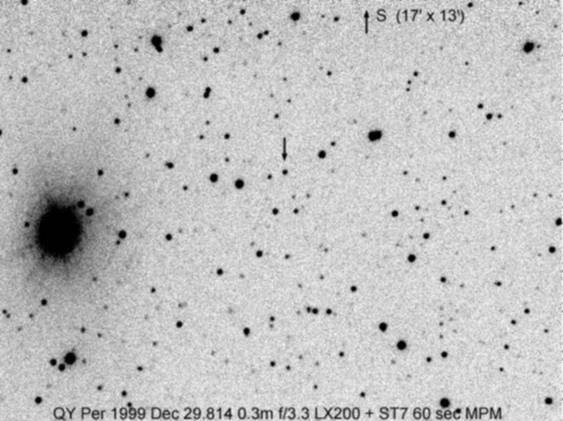 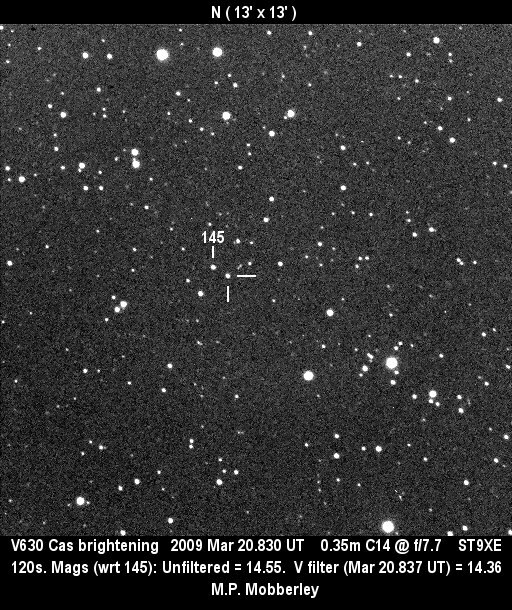 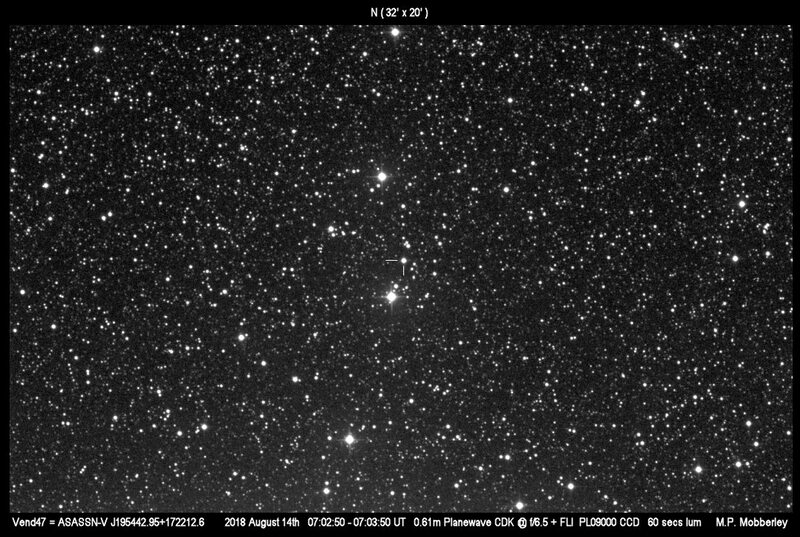 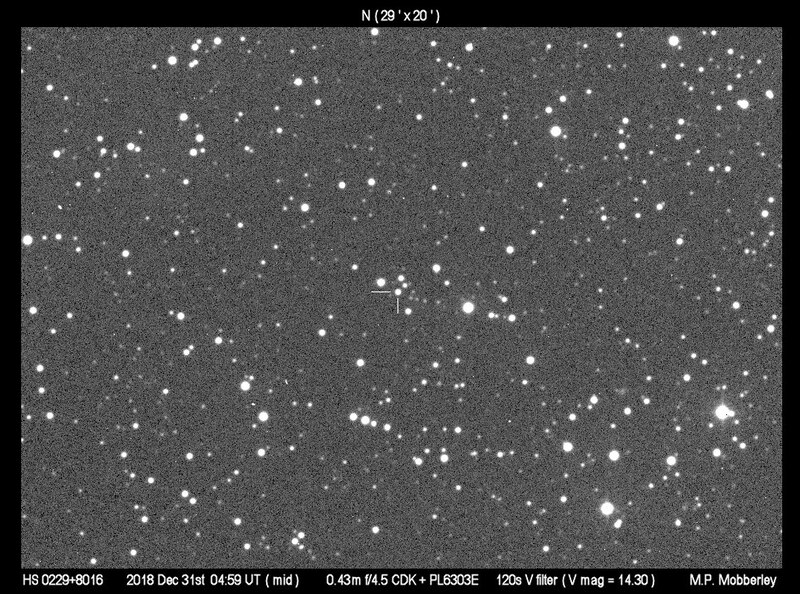 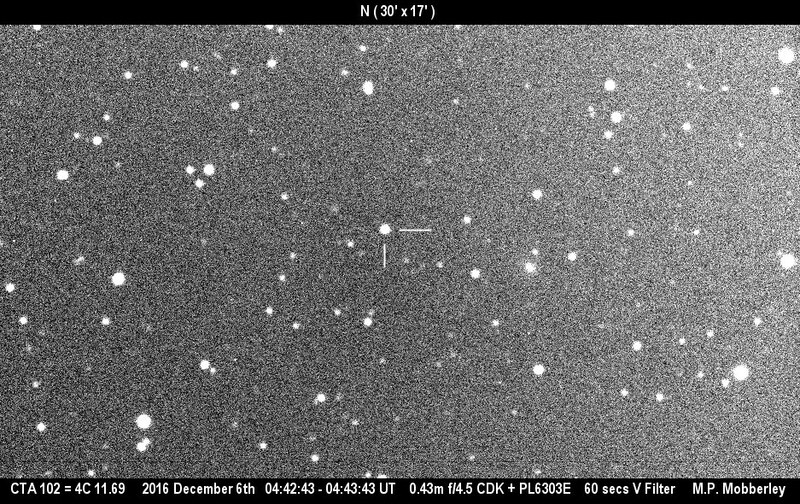 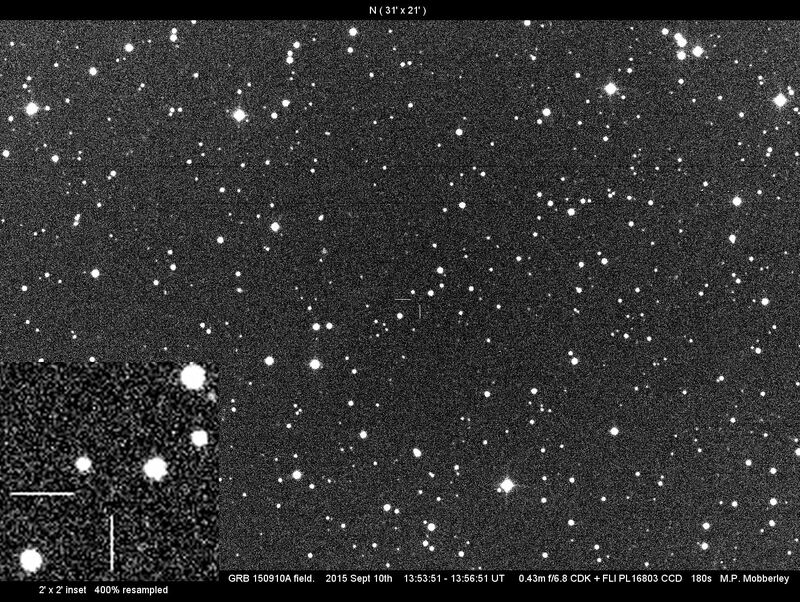 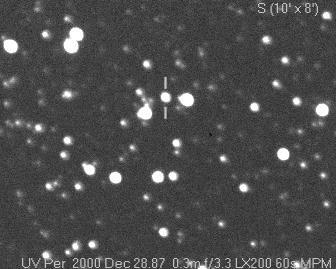 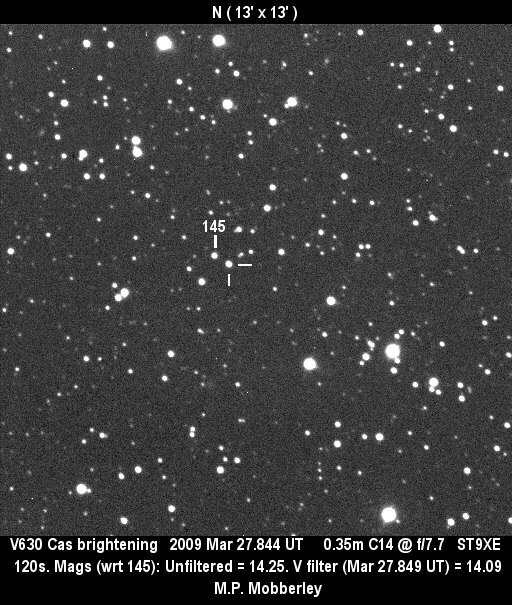 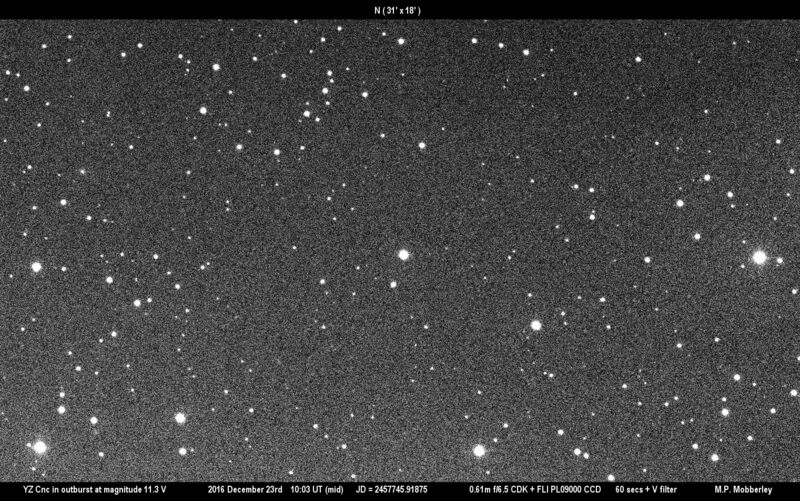 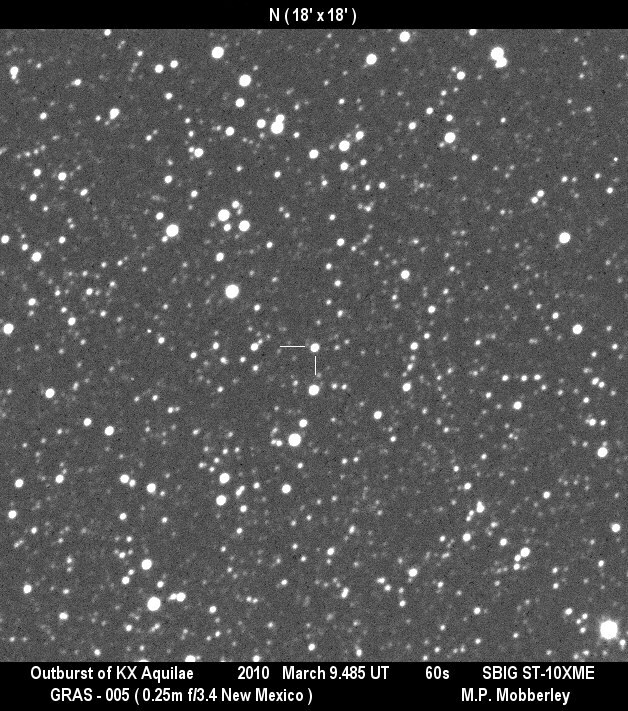 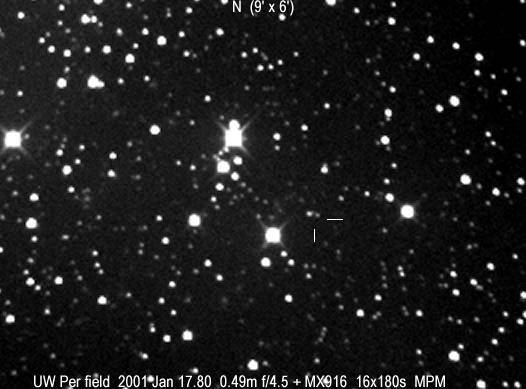 2004 Jan 12th Celestron 14. 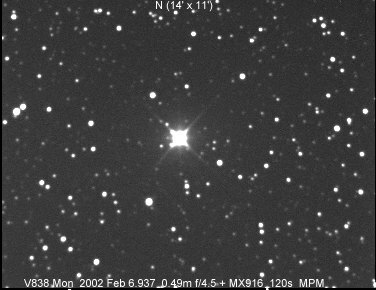 2002 Feb 6th 0.49m Newt. 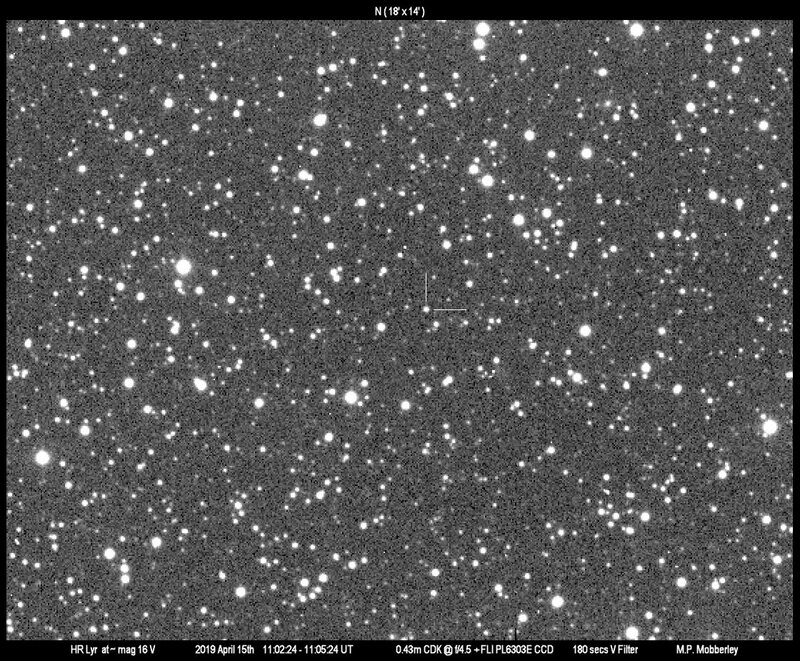 UW Per Deep Field - an enigma ! 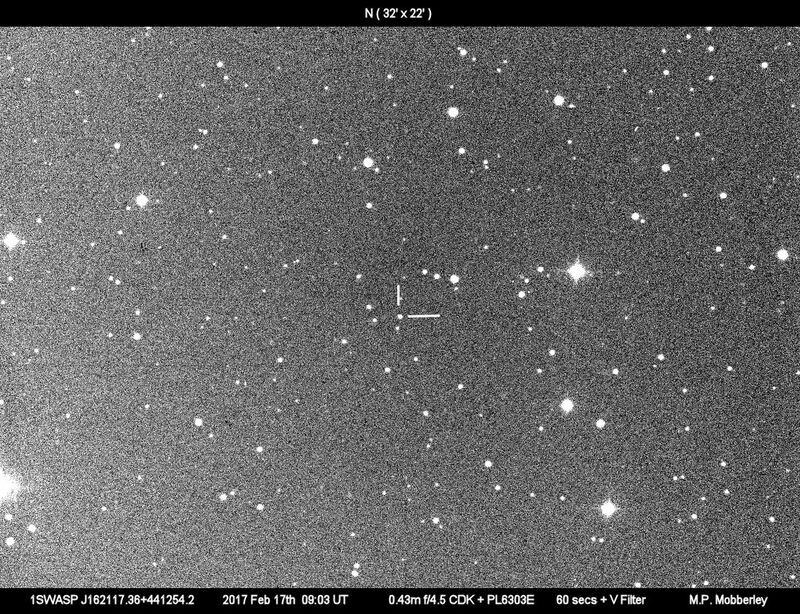 2001 Jan 17th 0.49m Newt. 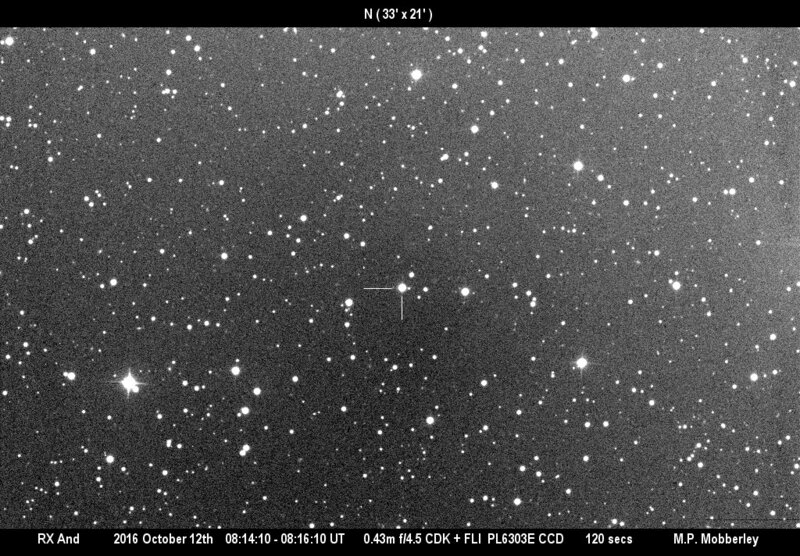 2000 Sep 20th 0.49m Newt. 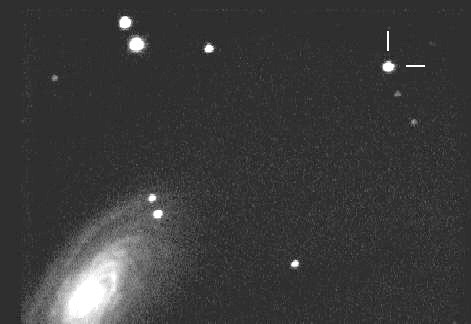 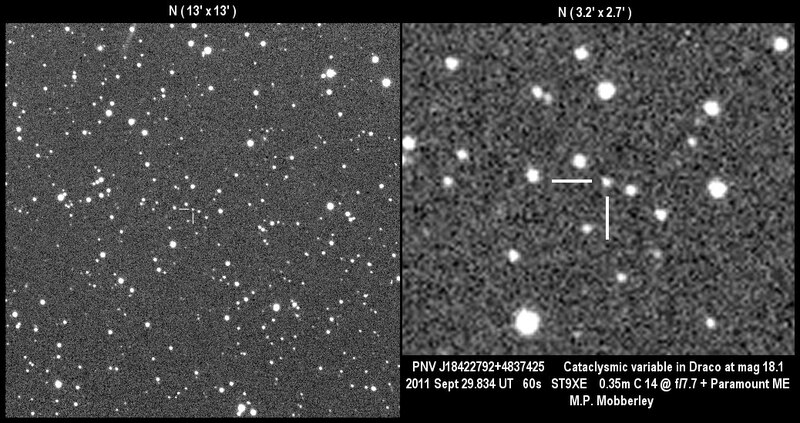 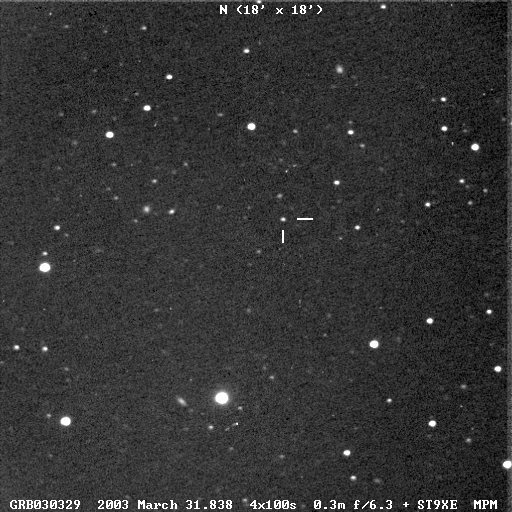 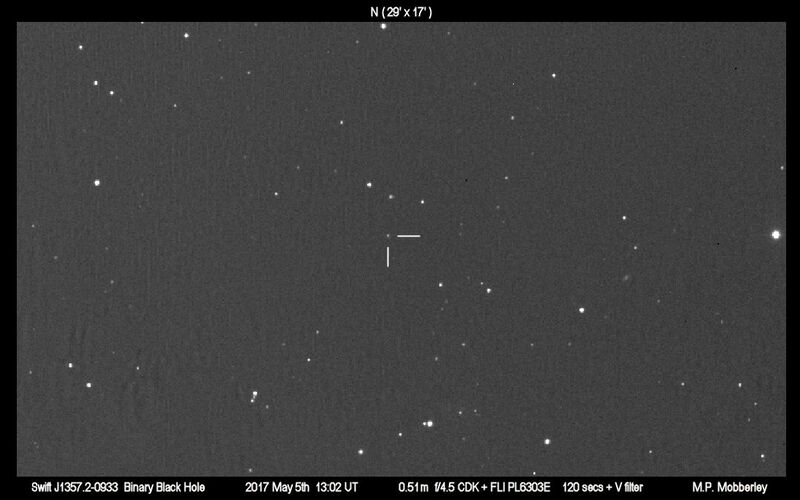 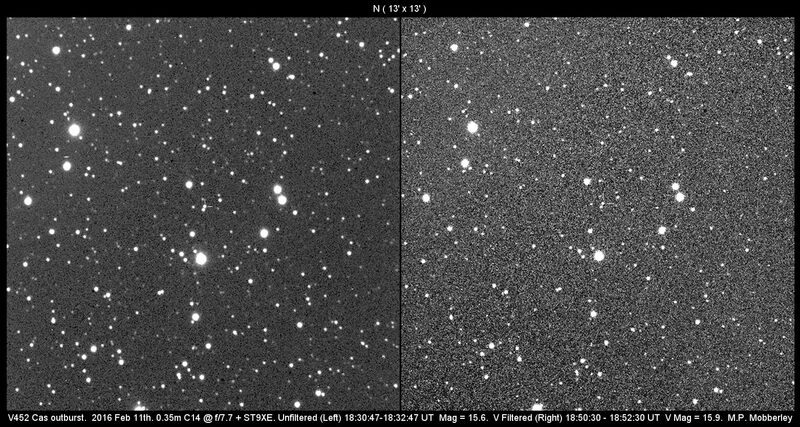 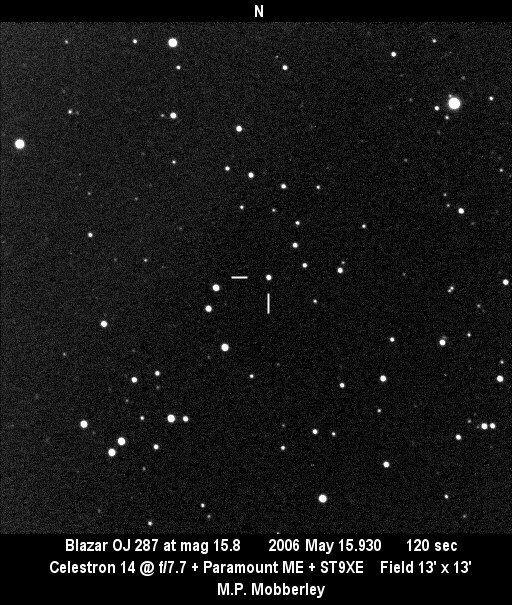 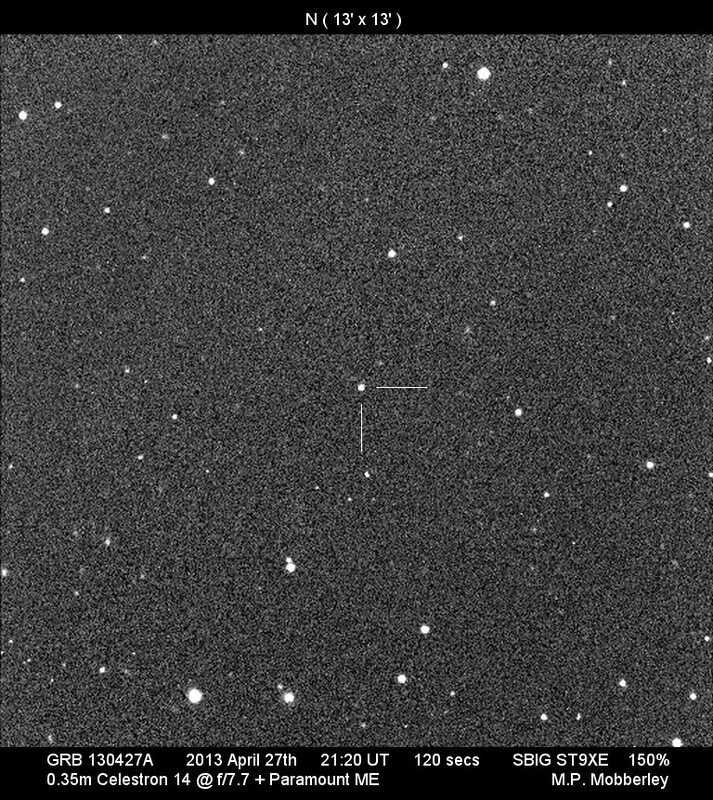 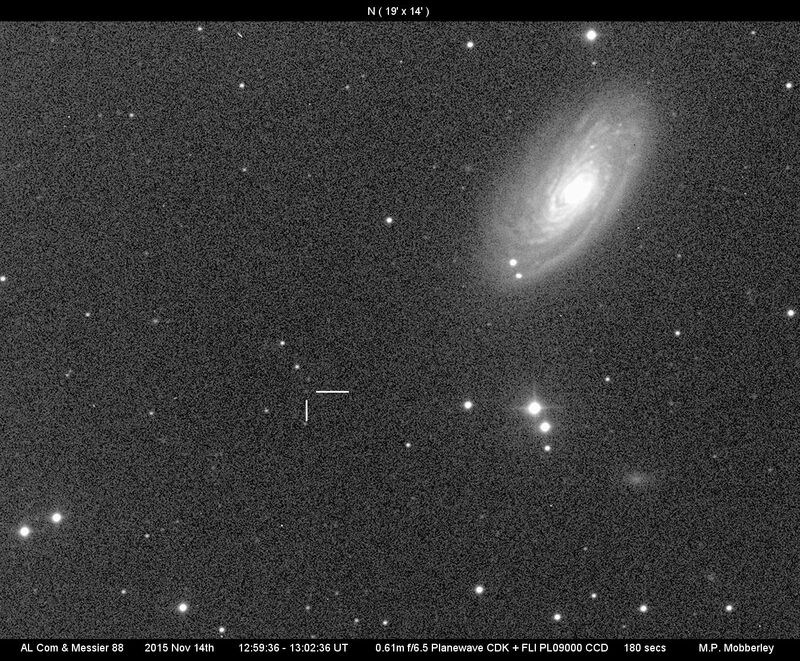 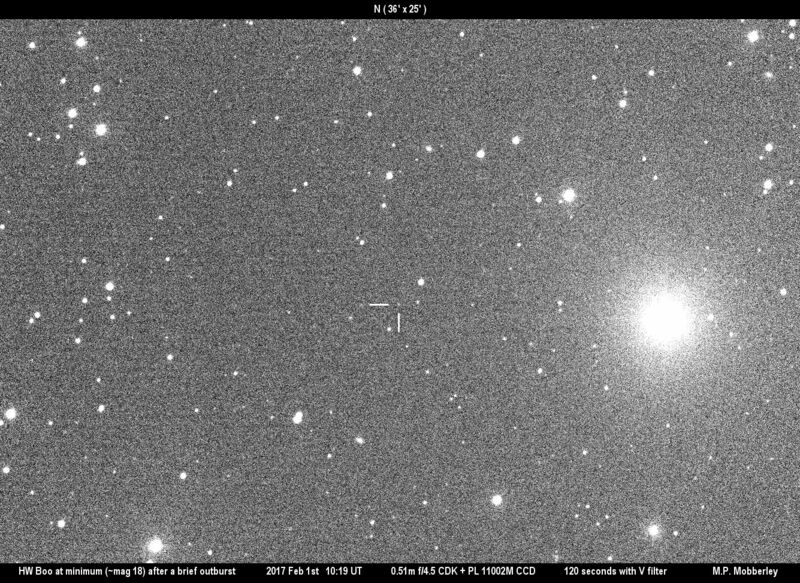 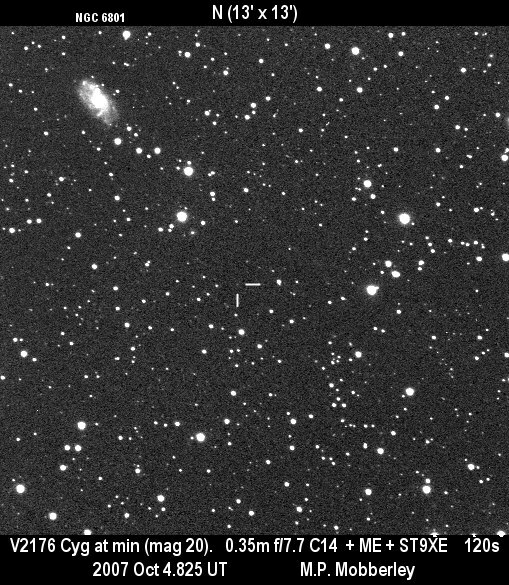 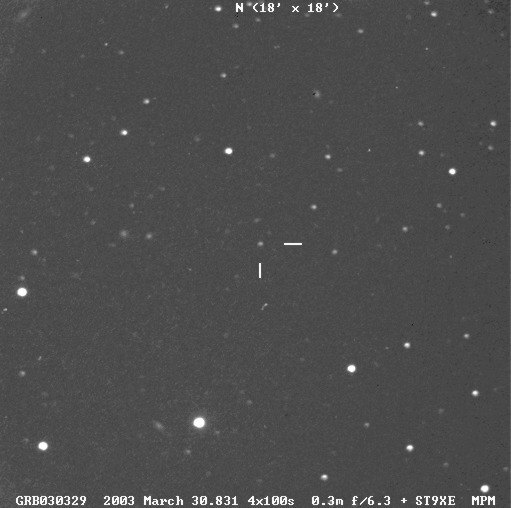 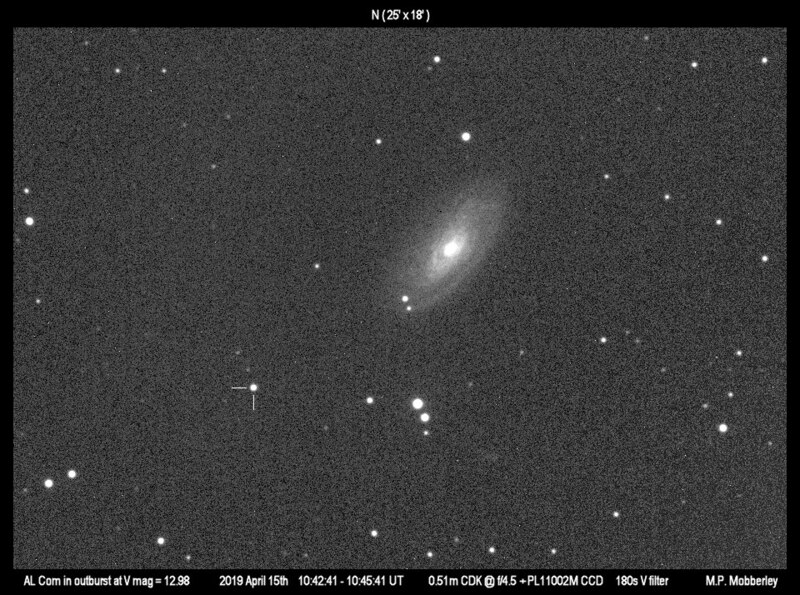 AL Com near M 88. 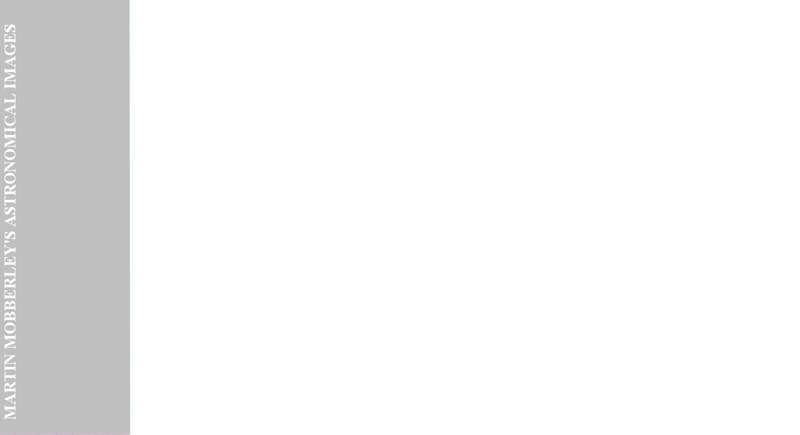 A rare outburst. 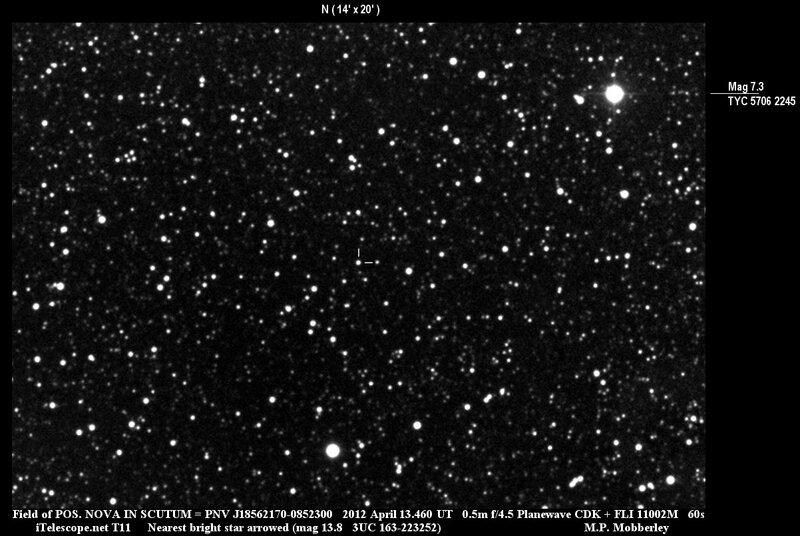 1995 April 6th 0.49m Newt. 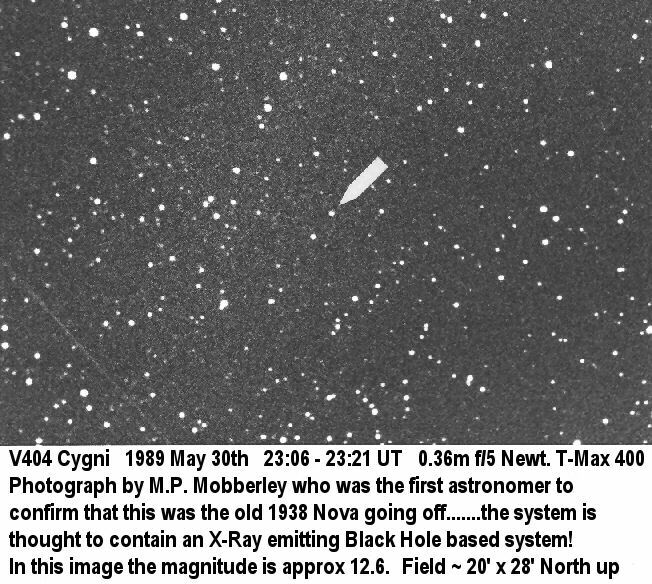 1989 May 30th 0.36m f/5 Newt.